Leaving the Old Crown Inn, I passed the enormous UleyburyHill Fort which was covered with trees. 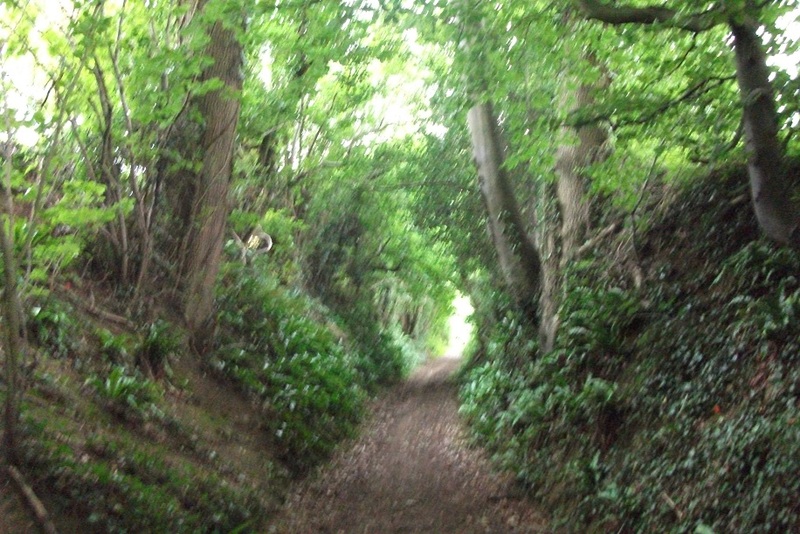 I regained the path to go towards Dursley. As I came towards Cam Long Down the weather became overcast and damp so I opted for a public footpath along the bottom of the hill instead of going up and then down it again. I soon walked down and through Dursley. 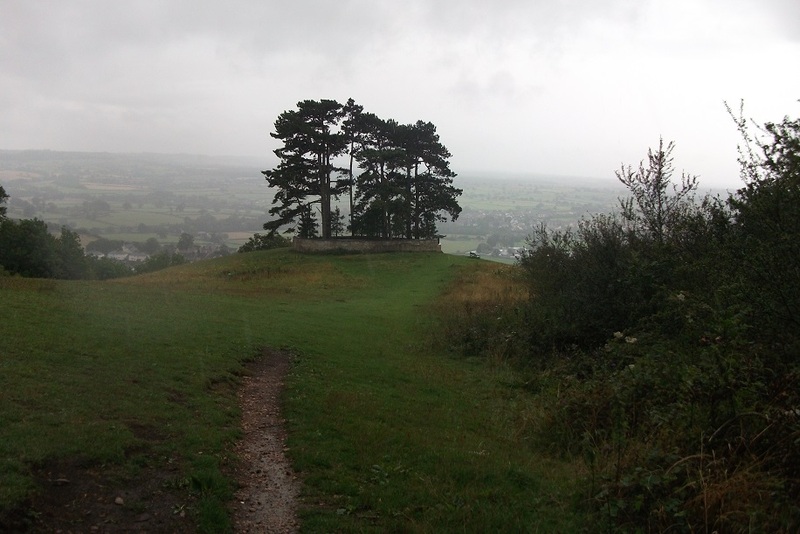 I climbed Stinchcombe Hill and decided to take the alternative shorter route across the golf course rather than go around it as the weather was worsening. I passed through fields where the wheat had been harvested and across maize fields where the crop was above my head. At one point there was a fridge by a house with chilled water for walkers, but in the damp I did not need it. 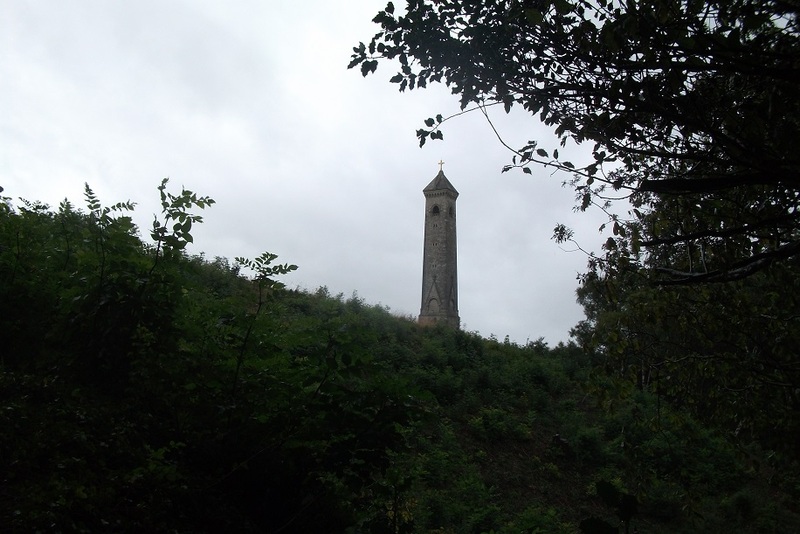 At North Nibley I found a bench where I could sit and eat lunch, but did not stay long as the rain became harder and I needed my umbrella as I climbed towards the Tyndale Monument. On a good day the views must be fantastic but, regrettably, I was in the clouds. By the time I came down to Wotton-under-Edge past the the Waterloo Victory Commemorative trees, it was raining hard. I met Edwin in the middle of Wotton-under-Edge for the journey home.